It seems like every other month there are new books released about the “latest super secrets” of spiritual warfare. You might see titles like The 14 Secrets To Unlocking The 7 Demonic Doors You Never Knew You Opened. That’s a bit exaggerated, but sadly, not much. These “teachings” are usually replete with new terminology and fill-in the blank prayers. Haven’t you seen this? There’s no reason to call the authors by name. Some of them very likely have good hearts and intentions. However, it is hard to stomach the exploitation sometimes. 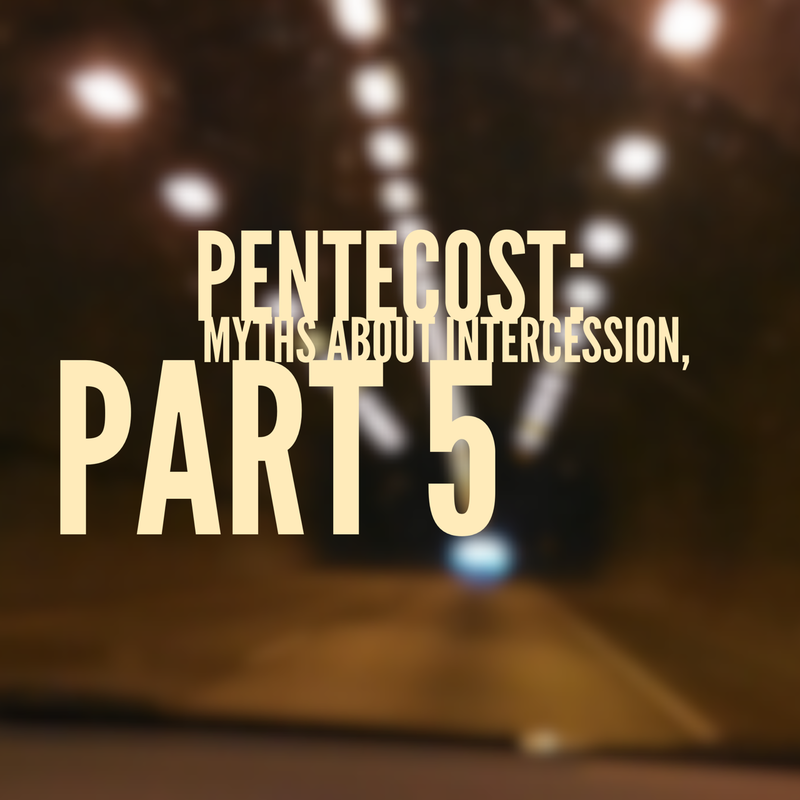 Myth #5: The myth is that intercessory prayer and/or spiritual warfare requires certain formulas only obtained through “deep” study and direct revelation. Do we have to own up to part of this? We can err on the side of passivity. On the other end of the spectrum, there are the bashers who spend little time on what they do stand for by majoring on what they are against. It seems as though these kinds of distortions are mostly ignored among many Bible teachers and communities. On the surface, this sounds great. After all, if something is wrong why give it the time of day, right? Then we have the other extreme who love to rave and rant and not just against the distortions. These take up crusading against the proponents. Why can’t there be a balance? Or rather, why can’t the balance be the norm? By shrugging these things off, we become enablers. Many gullible among us well and do buy these formulas hook, line, and sinker. There is a biblical, loving way to shepherd the flock in this. Wouldn’t you say the truth demands this? We have to safeguard. We don’t have to leave it up to the shouters who the unbelieving world would rightly call haters, do we? Some of these methods have made many of us skiddish about straight forward biblical commands. These mixtures of chants, incantations, rituals, and formulas within Christian prayer is really unorthodox. These belittling tactics are very man-centered. They are typically contrary to Jesus’ examples of prayer. It reminds me of the myths that overran the churches and ministry before the Reformation. The same problem is at the core: lack of knowledge of the Bible, only now, we have unending translations in our language. In time, I’ve come to see I don’t want to choose to leave these realms unattended. I believe that the Bible is clear that we must engage in all of this activity. It’s at the heart of Christocentric ministry. When Jesus was on earth, the demons were the first to recognize His divinity. Truly, His presence forced confrontation. Why would it be different for His followers on His mission. There are many biblically rich books that are out there on these topics. There are so many it wouldn’t be prudent to list just a few and miss some of the best. This word (misused synonymously with curses, spells, sinful habits) is thrown around with little to no explanation, tending to result in mysterious overtones and further ignorance. Because Paul’s original speech about strongholds is borrowed, sometimes the terms and phrases tend to rest on man’s loud false confidence rather than Jesus’ authority as God over all. Paul uses this term in 2 Corinthians 10 in the context of church discipline. He’s enlisting His office of Apostle. The word simply means fortress, a dwelling place in one’s mind. This first has to be torn down in our own lives and minds. A stronghold is simply thinking that denies Jesus/rebels against God. So confess to your Father when His Holy Spirit convicts you of sin. Let’s know on whose Word we stand! By the commands of God, on the authority and work of Jesus, and by the empowering, indwelling presence of the Holy Spirit, we will destroy bad thinking! The idea that some must be designated worshippers during collective prayer is unnecessary and misleading.The tendency to make extreme circumstances, like exorcisms, our only battlegrounds for spiritual warfare. This bent for extremism also takes the form of negligence of oppression and dismissal of physical illnesses. This leads to blaming the victim for lack of faith.The lie is often forced on believers that taking medicines and seeing physicians means the ill person is not engaging in spiritual warfare, or at least, isn’t effective. The very act of prayer is Worship! When we petition the Father, we are declaring our happy dependence on Him alone! When you pray, pray like this…”. Haven’t you been praying and ended up thanking him at the beginning of each new phrase? Thank you God that your are faithfully, gracious in sending your Holy Spirit to convict me. Thank you for guiding me in confession to true repentance. I’m not claiming that’s it’s bad to have someone praising the entire time. I’m thankful for the times I’ve been prayed for like this. We need to have praise fueled and filled prayers. It’s ok not to know what to say. It’s ok, guys, to cry. In the same way I speak of worship and prayer as part of our lifestyle as followers on a mission, so it is a path of warfare. One of the greatest helps we give the Enemy is just remaining ignorant of the spiritual battles surrounding us. This coupled with keeping others in the dark, keeps the powers of this world from having to do much active attacking. If we separate the militant aspects of Christianity from our every day lives, rest assured we won’t be or create soldiers! In James 5, we find that we are to call on the elders to pray for the sick. The reference to oil here isn’t the same as the Old Testament anointing oil used to sanctify instruments for the priesthood. There are other reasons many continue this practice, which I am not knocking. One of the ideas here, contrary to much of today’s teaching, was that God uses medicines and knowledge to heal in addition to miraculous, instantaneous healings. While scholars remain divided on the act of anointing the sick with oil, none mistake the act as powerful, in and of itself. Interrogations must take place in which the spirits are named or identified. Specific phrases hold the power to expel spirits. The simplicity that Jesus used in casting out demons is astounding. The only identification we see with the spirits is a number rather than a name, Legion. Why do we make things so complex, especially where Jesus didn’t? The conversations between the demons and Jesus focus more on their recognition of Him and His authority. The one name that’s important is Jesus, the name above all names. We aren’t talking about engaging in magical spells. Where the Bible has no prescription, how dare we add one! From these distortions, one gets the idea that the number of repetitions or the volume of the prayer matters. the scriptures (or elsewhere) and constructing all new meanings or ascribing power to them. This applies to all of our reading and understanding of scripture. Let us both read and pray God’s Word intelligently and diligently. I want to be clear that I haven’t made this post, or any other, to merely come down on what others are saying but to point to what God is saying the Bible. I want us to seek out the truths of Jesus according to Scripture. I have chosen these particular issues because they all seem to question our faith and obedience like the serpent did in the garden, “Did God really say…?”. However strong I’ve stated anything, please know I’m not trying to call all or even any of these things demonic. That’s an entirely different and deeper discussion around which we should tread lightly. I only desire to point us back to scripture. 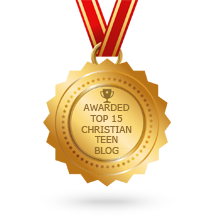 This entry was posted in A CLICK A BLESSING TODAY, CHRISTIAN LIFE AND THE WORD, CHRISTIAN TAGALOG BLOGS, CHRISTIAN TEENS BLOGS and tagged intercession, part 5, pentecost myths. Bookmark the permalink.